[Altitude] About 400 m, the hot spring of a trailhead. 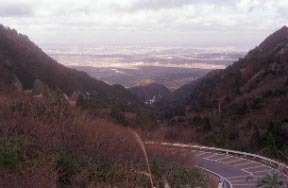 The Higashiyama foot of the Suzuka mountain-peaks-in-line dominant peak "Mt.Gozaisho" and the Mitaki-river ravine both banks which make the origin Mitake (a Mt.Gozaisho, a Mt.Kamagatake, and Mt. 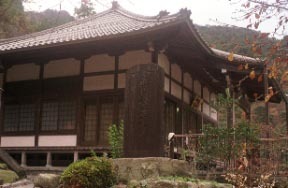 Kunimi) are dotted with a Ryokan.The view overlooked by a Gozaisho aerial ropeway to the brave scene of the Mt.Gozaisho which is a steep rocky mountain, and Isewan can be enjoyed freely.Of course, mountain climbing of recommendation and the scene from a centrist (more than a middle-class person) is also brilliant.A hot spring is a historied hot spring containing the emanation of having been discovered at provision-for-old-age every year (the ancient times of about 1200 or more). If it goes by the 200 Japan mountain and a Gozaisho aerial ropeway to 1209 m, the top will be an in no time.The back of the top has a Gozaisho skiing ground. 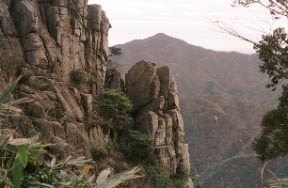 In a back lane, it is a famous place "Tonai wall" of rock-climbing. 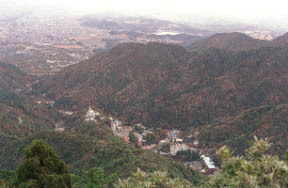 Between [ from a yunoyama ] Chomei, about 6 km. Rheumatism, women's diseases, gastroenteropathy, etc. The Suzuka skylines are no charge and winter closing now.